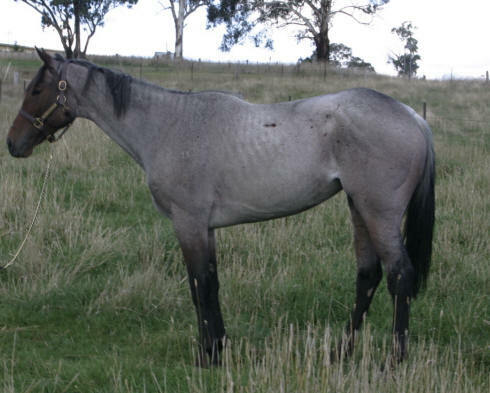 The Jockey Club has incorrectly registered grey Thoroughbreds as roans for a number of years. 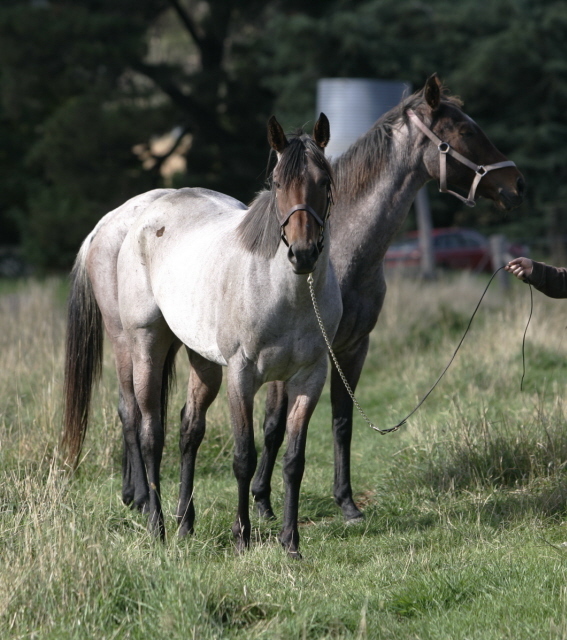 Their "roan" designation referred to bay or chestnut-based greys, horses that progressively got lighter as they aged (as is the nature of grey). 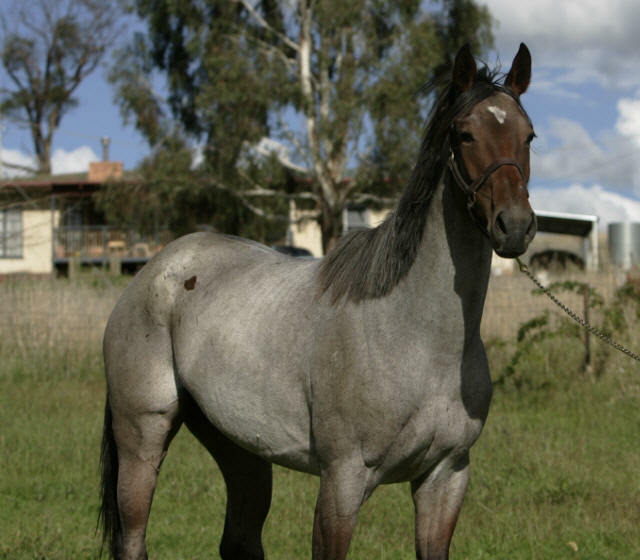 What most other horse people considered to be roan, a coat with interspersed white hairs with a dark head and legs that stayed essentially unchanged throughout a horse's life, did not exist in the Thoroughbred gene pool. 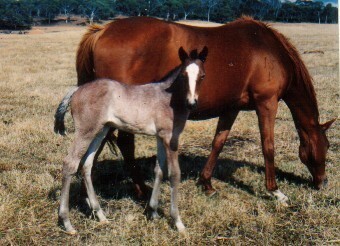 That changed with the New Zealand-bred stallion Catch A Bird (Noble Bijou x Showy Countess, by Showoff) born in 1982. 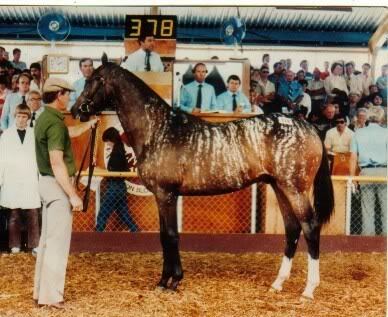 A bay with bold white stripes that looked like reverse brindling, Catch A Bird was quite a sensation at the 1983 Magic Millions sale and on the track as well. 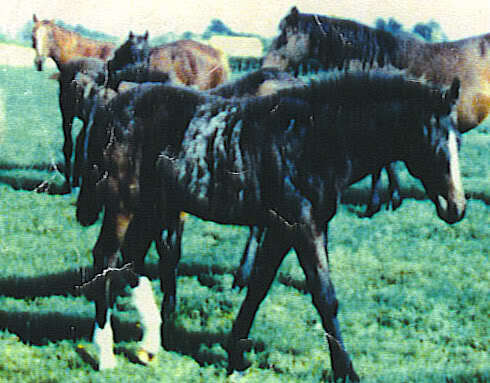 He became even more of a conundrum when he sired four foals that phenotyically appeared to be true, dark-headed roans. 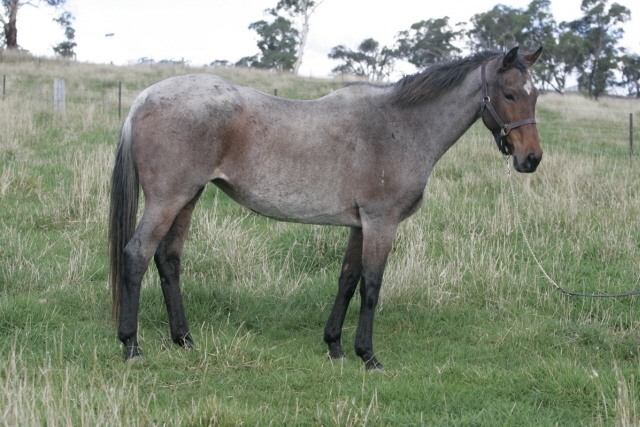 In retrospect, now that we understand the nature of the KIT gene and its potential for mutation, it seems likely that Catch A Bird is responsible for a new roan mutation. 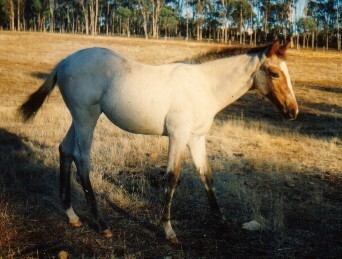 Catch A Bird was rescued from neglect several years ago, but sadly he died shortly thereafter due to a paddock accident. 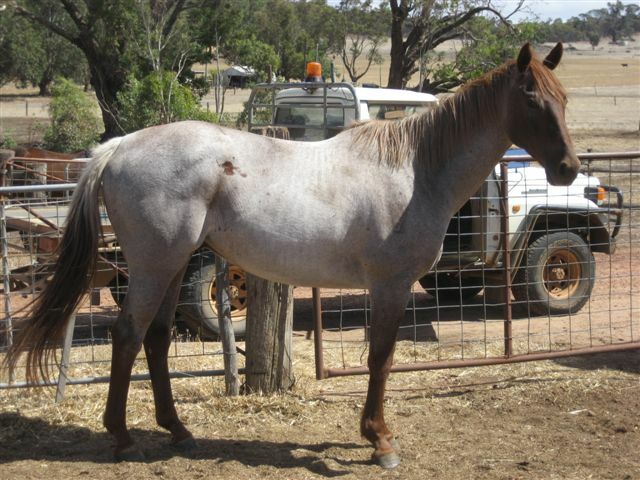 His daughter Slip Catch was rescued from the same situation and is happily thriving. 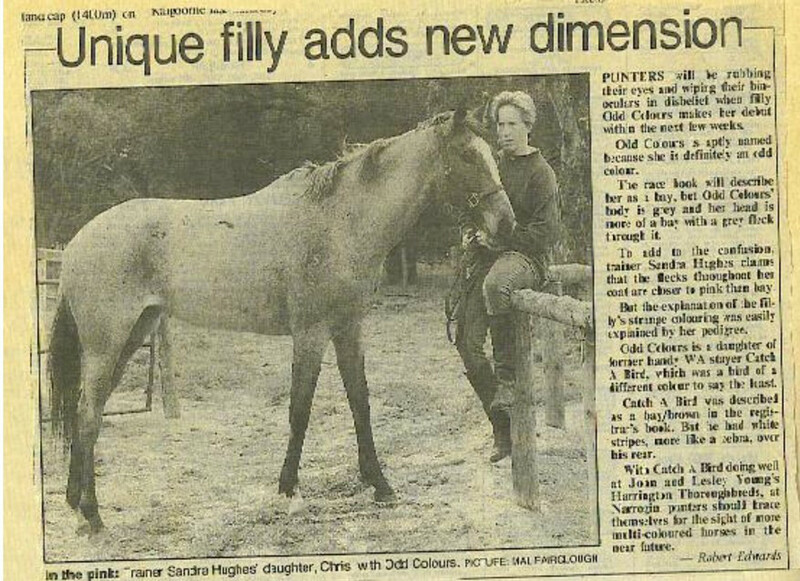 She and her two daughters are currently thriving in the care of Winning Colours Farm in Australia. 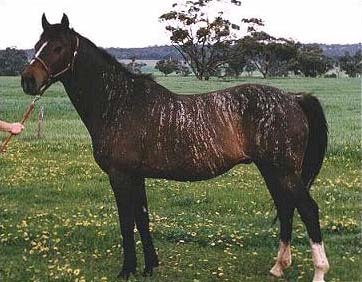 The whereabouts of Odd Colours, Goldhill Park, and Red Noble are unnown, but none have produced any known roan offspring (as far as I know). An article about Odd Colours from an Australian newspaper. 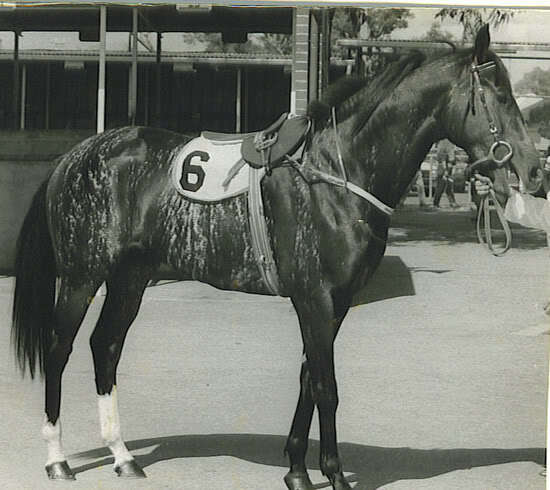 Even in black and white, it's clear she's roan.